The discipline of archaeology serves as a source of continuing discovery and fascination. Each year, teams of archaeologists descend upon sites around the world to see what great new discoveries might be made. With each season, scholars learn more and more about the ancient world. This includes information about the Bible and the context in which it was written. The March-June 2018 issue of Biblical Archaeology Review featured a story about the discovery of a 2,700-year-old seal impression featuring the name “Isaiah,” which also appeared to identify this individual as a prophet. The clay seal impression (called a bulla) was discovered in excavations directed by Eilat Mazar near the southern end of the Temple Mount.1 Bullae like the one bearing Isaiah’s name were used to seal documents and storage containers, but also served as receipts. The Isaiah bulla is damaged, but a great deal of information can be gleaned from the impression. It features three registers (sections). Most of the top register is missing, but depicts what appears to be a grazing doe, a symbol of blessing in ancient Judah. The second depicts the name Yesha`yah[u] (the full Hebrew form of the name Isaiah). The final letter is missing, but no other interpretation is feasible. The final register at the bottom is damaged, but the letters nvy can be seen clearly. Unfortunately, the final letter is missing, meaning that the last word on the seal may be interpreted either as navi (“prophet”) or the proper name “Navi,” which could refer to either a person (such as a father) or a place of residence. Taking note of the difficulties in interpreting the inscription, Mazar argues that it is unlikely that the inscription could be interpreted as “Isaiah of/from Navi” or “Isaiah, son of Navi” (if this were the case, it could not be the Isaiah of the Bible, whose father was named Amoz). Of the three possible interpretations, Mazar argues that “Isaiah the prophet” is the most likely. Mazar’s body of work includes the discovery of numerous finds with biblical connections, including an intact bulla bearing the name “Hezekiah [son of] Ahaz, king of Judah.” In a 2015 news conference, Mazar hailed the seal as “the closest as ever that we can get to something that was most likely held by King Hezekiah himself.”2 It is worth noting that the Hezekiah seal and the recently discovered Isaiah seal were found only about 10 feet apart in the same archaeological context. As King Hezekiah and the prophet Isaiah were contemporaries, and interacted with each other (2 Kings 20:1-19), it is reasonable to assume that inscriptions bearing their names would be found in close proximity to one another. Such discoveries are not uncommon. In fact, numerous seal impressions have been found, many of them bearing the names of figures known from the pages of Scripture. In excavations from 2005-2008, Mazar discovered two different inscriptions bearing the names “Jehucal, son of Shelemiah, son of Shovi” and “Gedaliah, son of Pashur” only a few yards apart. The prophet Jeremiah mentions that both men served as officials in the administration of King Zedekiah, the last king of Judah before the Babylonian destruction of Jerusalem in 587/586 B.C. (Jeremiah 38:1). While some scholars urge caution in making the connection between the original owner of the Isaiah seal and the biblical prophet too hastily,3 others like Mazar are confident that the seal does, in fact, mention the beloved prophet. Robert Cargill, archaeologist and associate professor of Classics at Iowa State University and editor of Biblical Archaeology Review, stated, “if you’re asking me, I think she’s got it. You’re looking at the first archaeological reference of the prophet Isaiah outside of the Bible.”4 The fact that the Isaiah bulla was found in the same archaeological context as that of a seal impression belonging to King Hezekiah helps place the burden of proof on critics who would argue that the seal does not refer to the prophet. While the Isaiah bulla does not prove the accuracy of Isaiah’s predictions or his inspiration as a prophet of God, it does demonstrate the accuracy of the biblical narrative and the Bible’s internal chronology. This should come as no surprise to believers, who are accustomed to seeing archaeological discoveries confirm the truthfulness of Scripture. 1 Eilat Mazar (2018), “Is this the Prophet Isaiah’s Signature?” Biblical Archaeology Review, 44[2-3]:65-73,92, March-June. 2 Ilan Ben Zion 2015), “Seal Bearing Name of Judean King Found in Jerusalem,” The Times of Israel, http://www.timesofisrael.com/seal-bearing-name-of-judean-king-found-in-jerusalem/. 3 Christopher Rollston (2018), “The Putative Bulla of Isaiah the Prophet: Not so Fast,” http://www.rollstonepigraphy.com/?p=796. 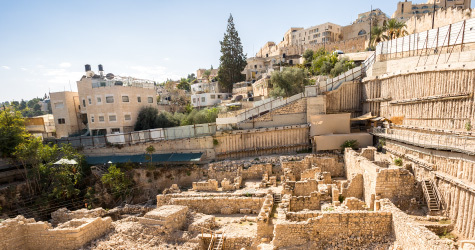 4 Amanda Borschel-Dan (2018), “In Find of Biblical Proportions, Seal of Prophet Isaiah Said Found in Jerusalem,” The Times of Israel, https://www.timesofisrael.com/in-find-of-biblical-proportions-proof-of-prophet-isaiah-believed-unearthed/.